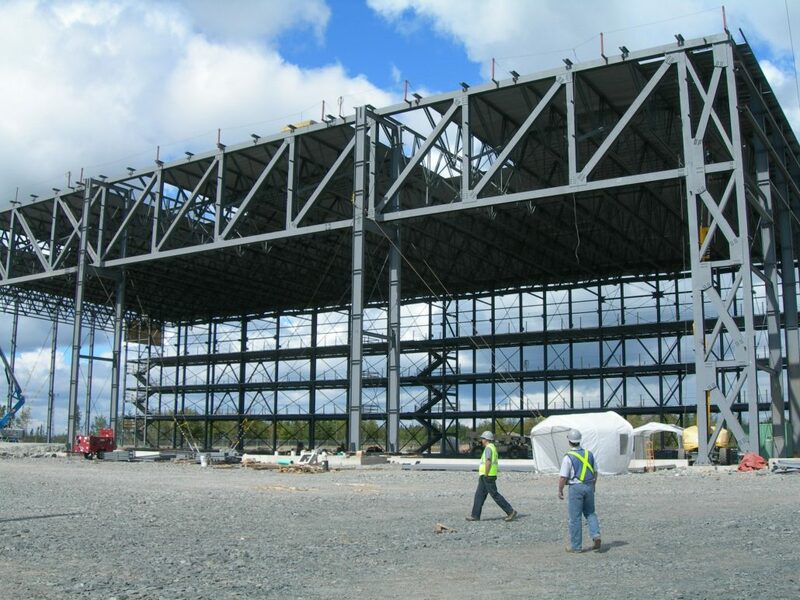 The 112,400 ft2 IMP hangar at Stanfield International Airport is an excellent example of Marid’s design build capabilities. 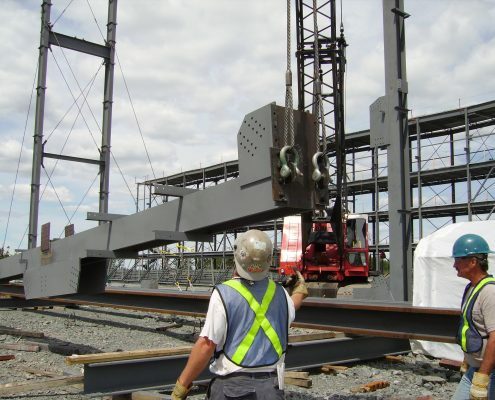 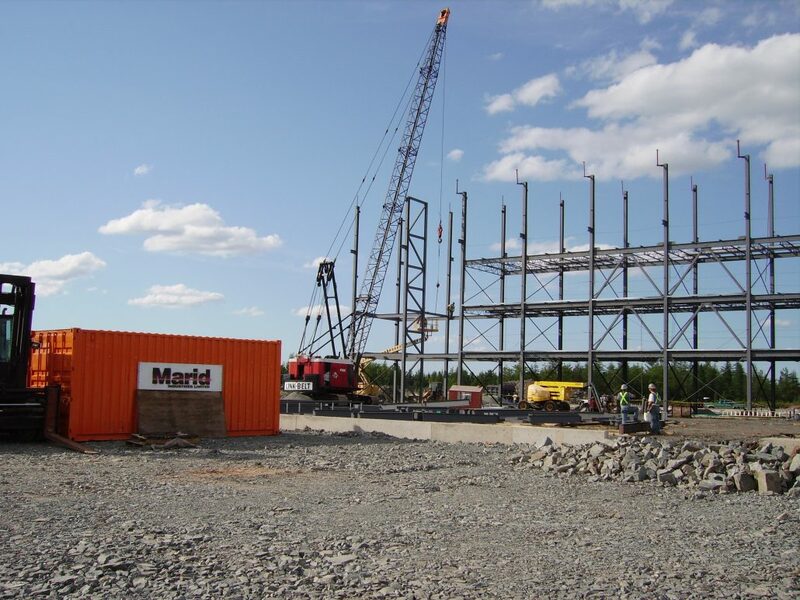 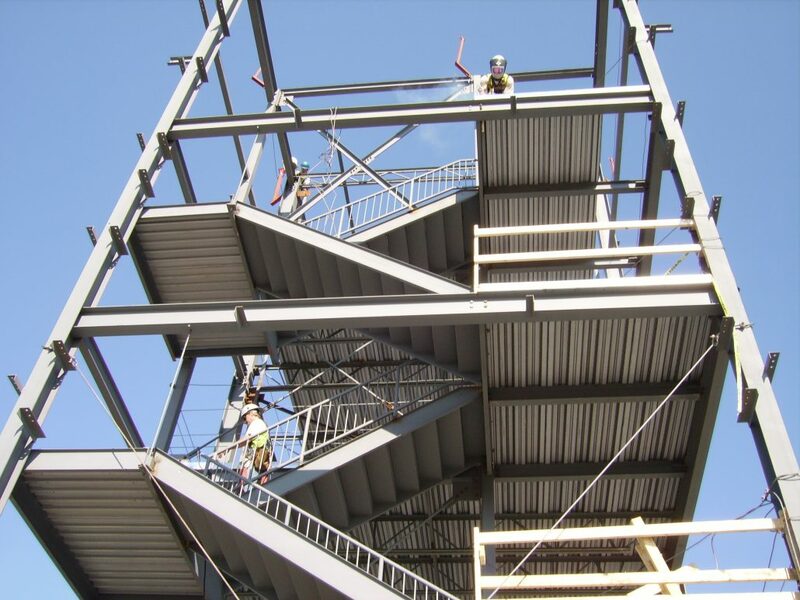 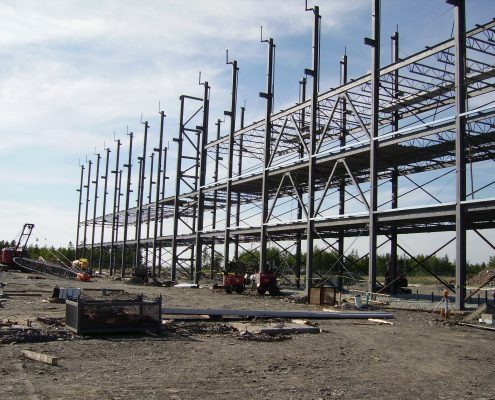 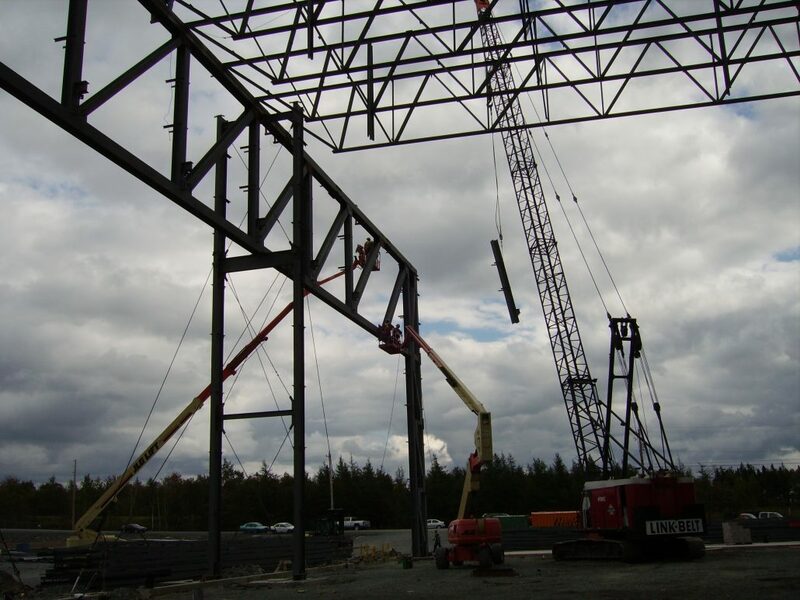 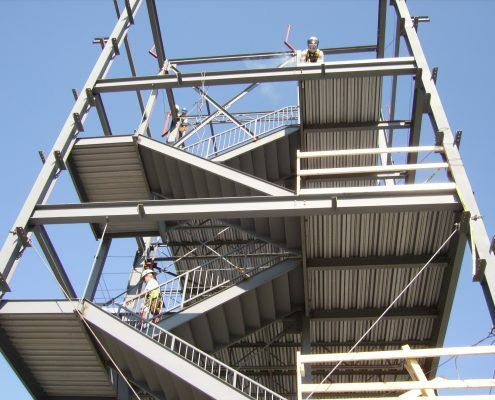 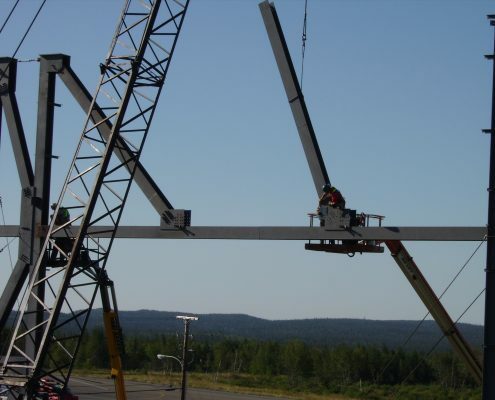 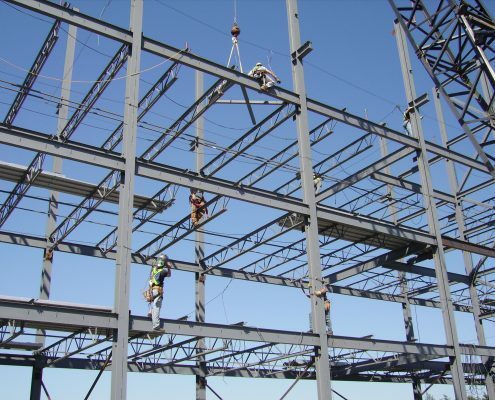 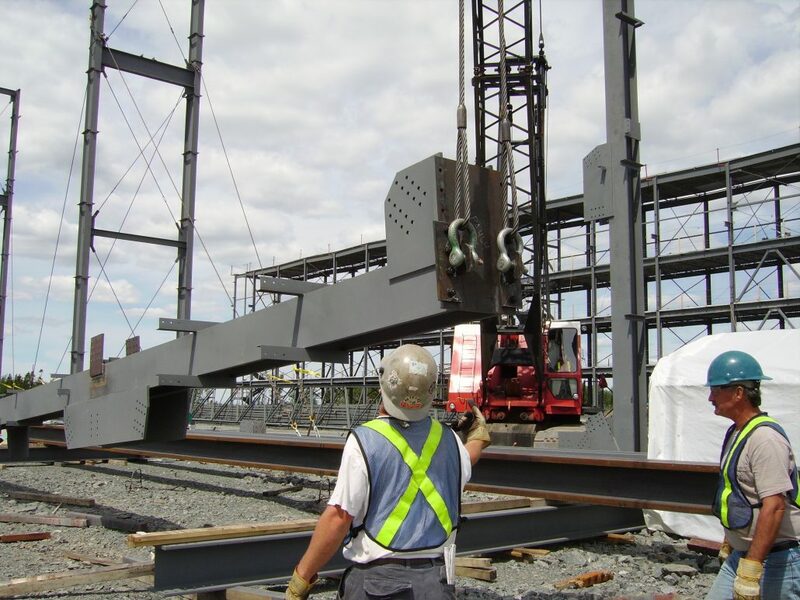 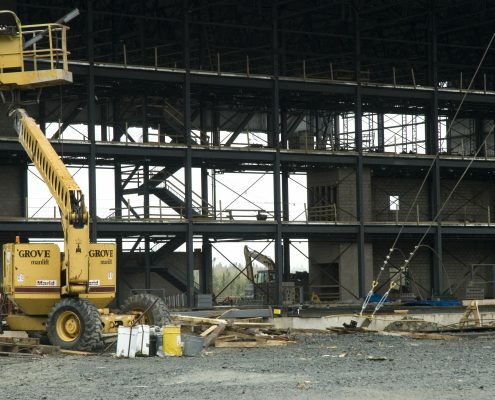 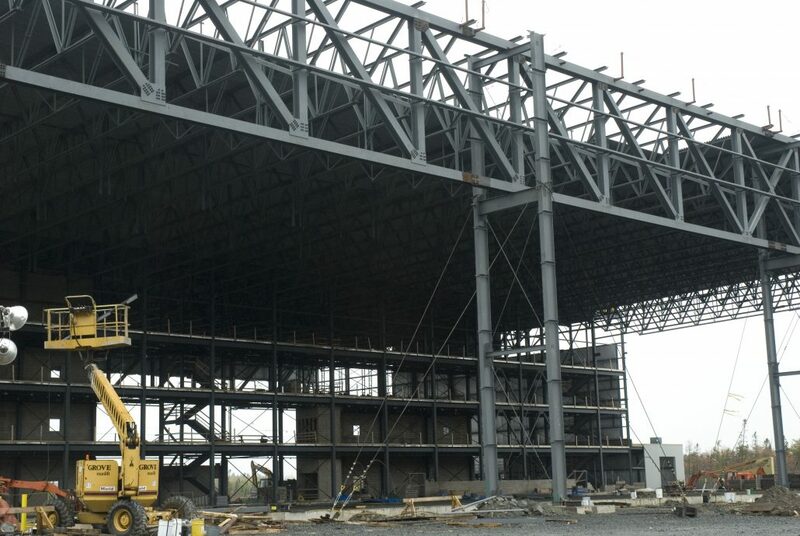 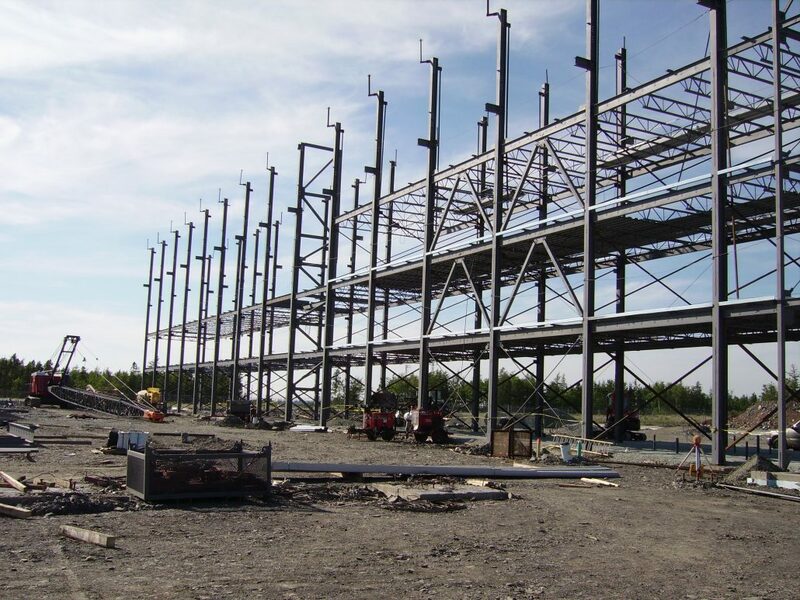 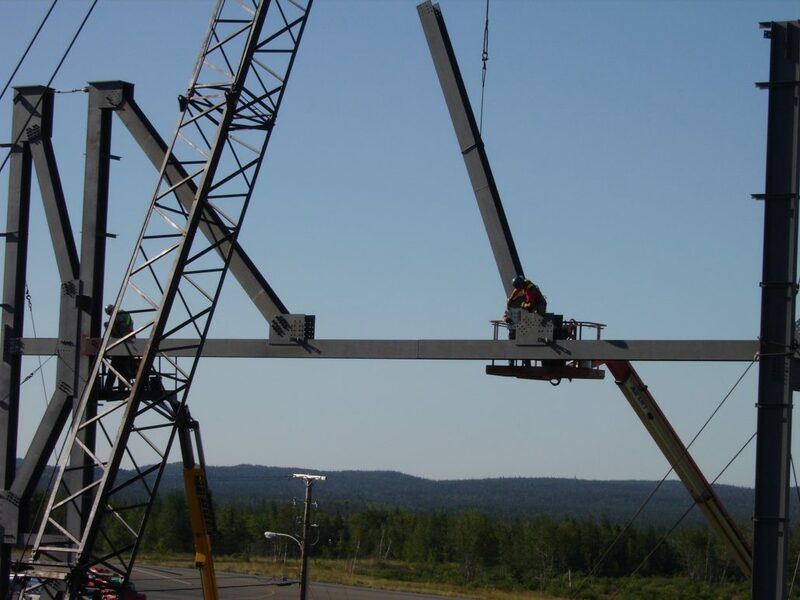 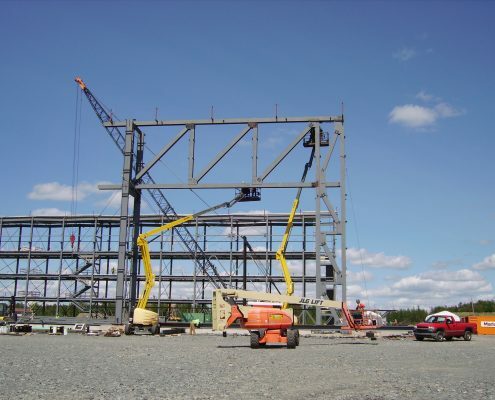 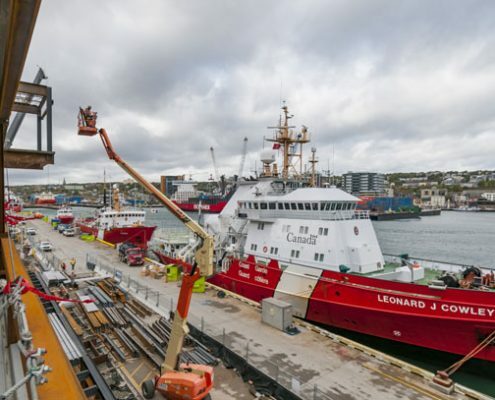 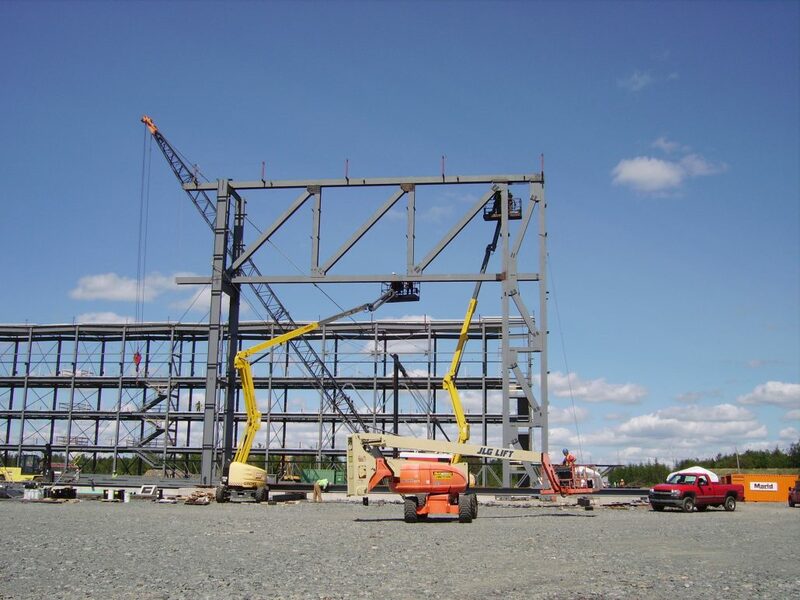 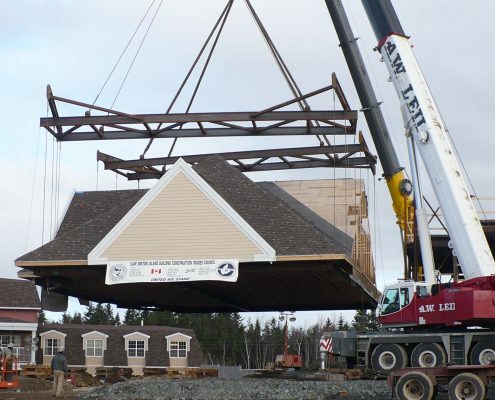 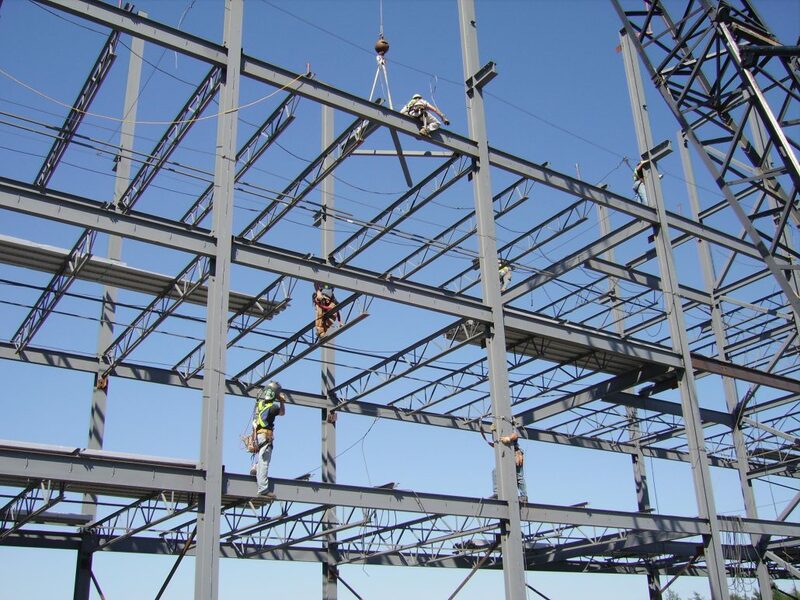 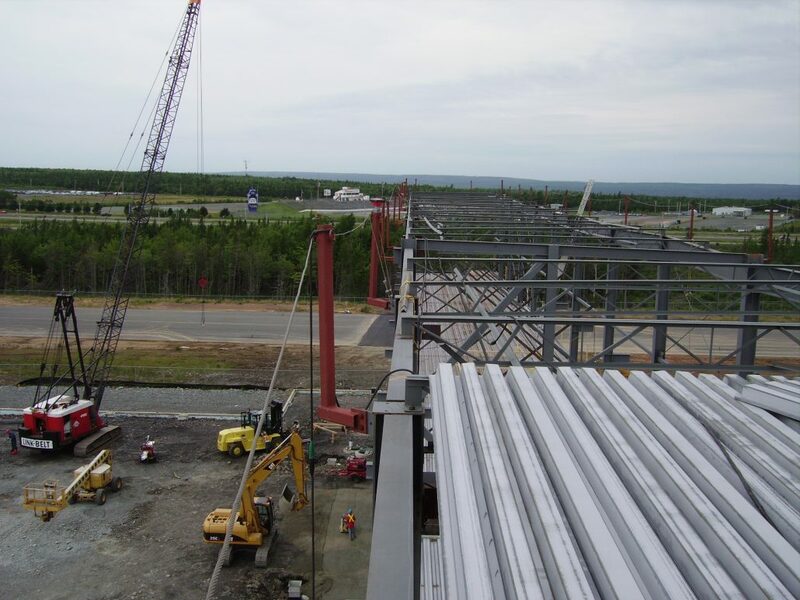 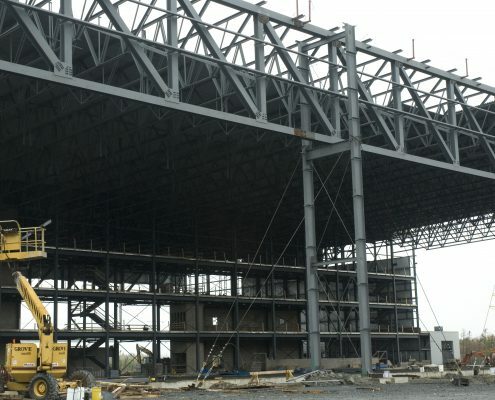 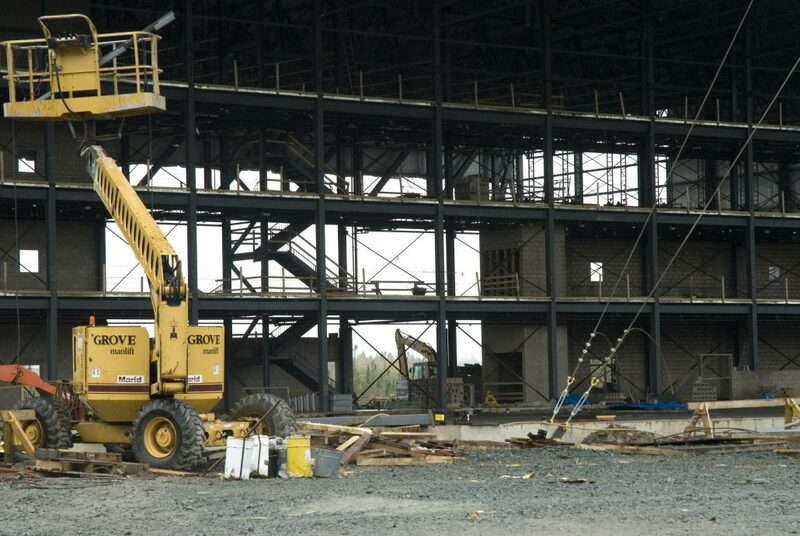 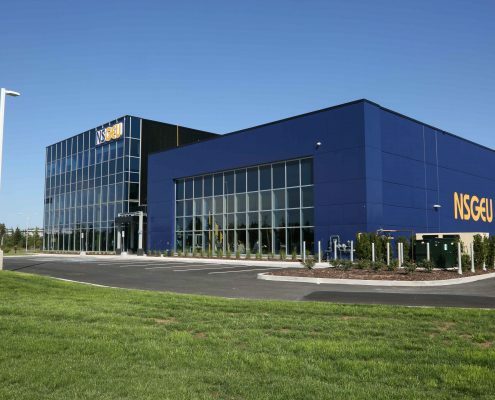 Marid worked closely with our partners in the steel industry and with the general contractor, J W Lindsay Enterprises Ltd., to develop a structural system that optimized the use of our shop fabrication capabilities and skilled Ironworker tradespeople. 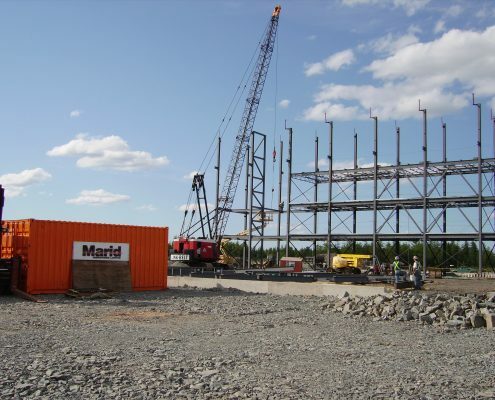 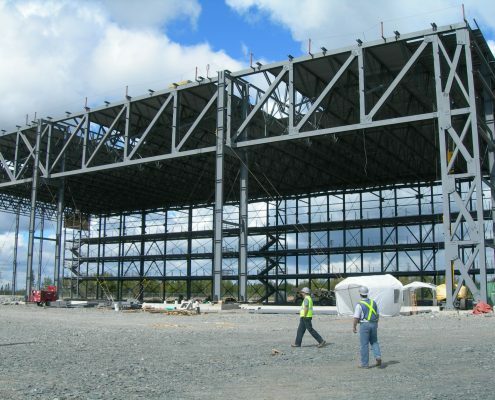 Marid was responsible for the design of the structural steel system, fabrication and erection of the building. 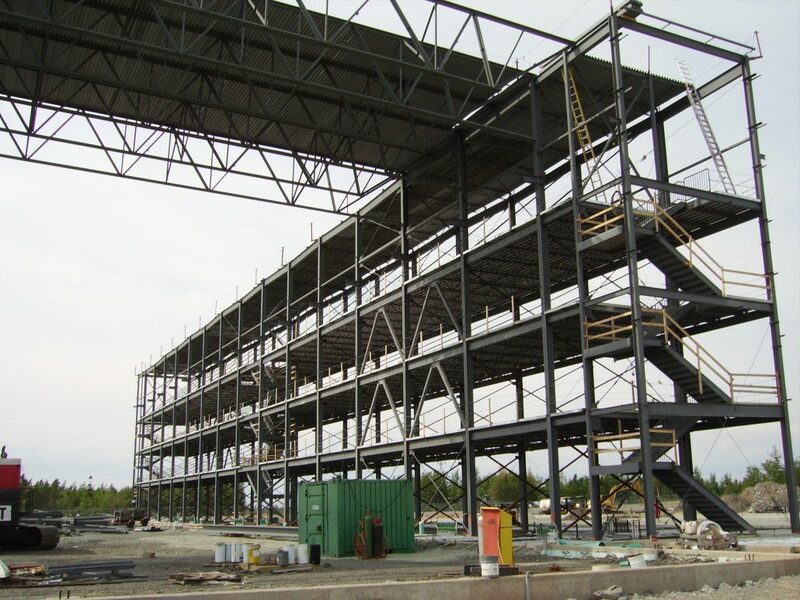 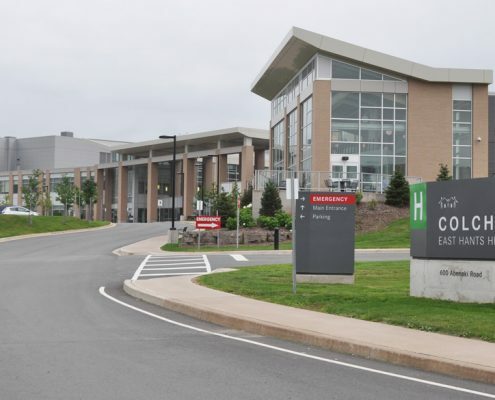 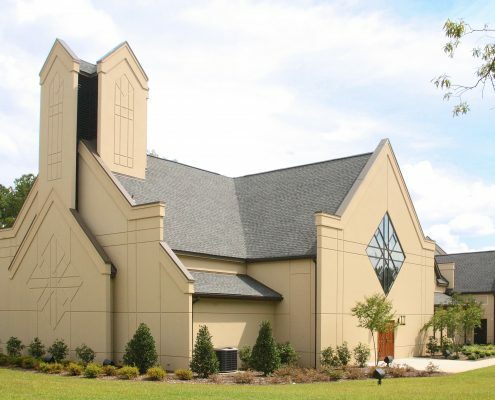 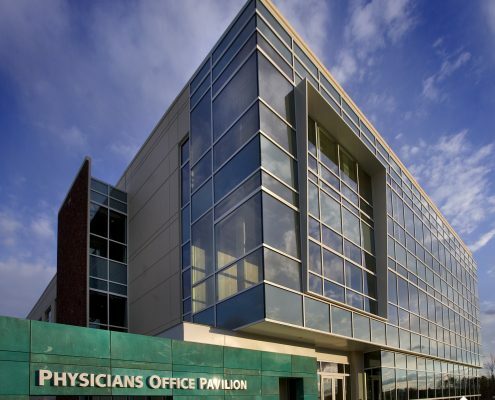 The building’s structure was carefully designed to work together as a system for maximum efficiency and reduced costs. 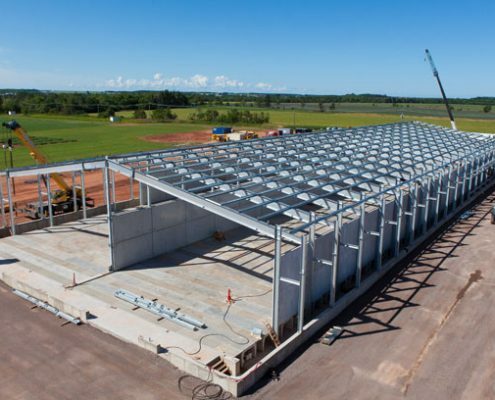 The hangar features 2 – 145’ x 345’ clear span hangar bays on opposite sides of a 4 storey maintenance and administration core. 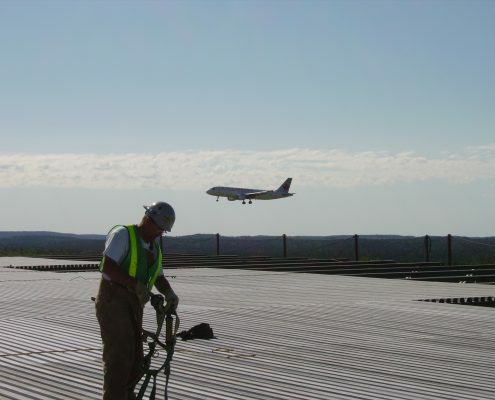 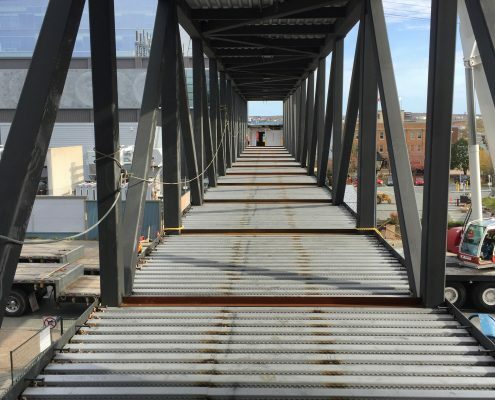 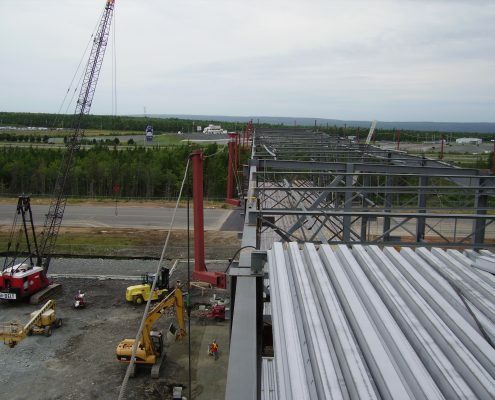 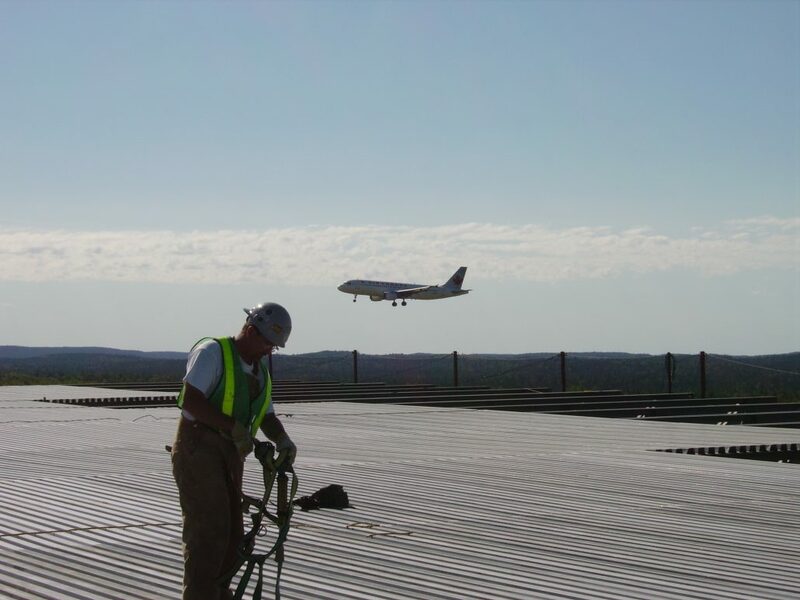 This project consisted of 720 Tons of steel not including OWSJ and deck. 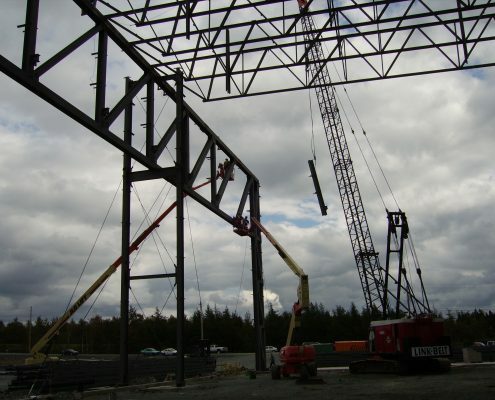 The structural design permitted the completion and fit up of one hangar bay while the opposite side was still being erected. 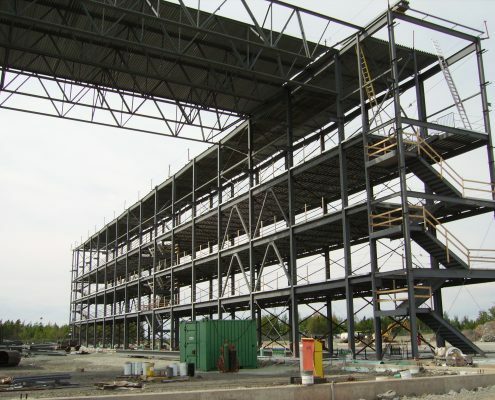 This allowed the customer to begin maintenance work in the building sooner than otherwise would have been possible. 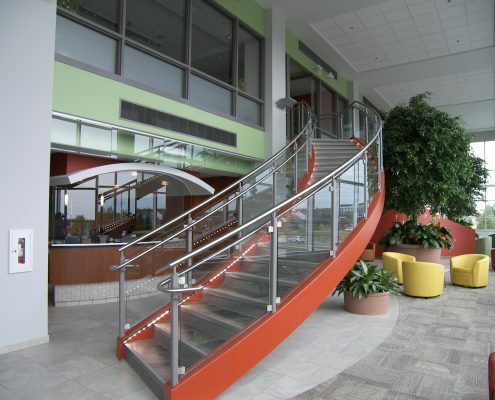 The result was a successful project that met the owner’s requirements for functionality, budget and schedule.